All the best designers are looking back for inspiration, making frames that hark back to real classic glasses shapes. 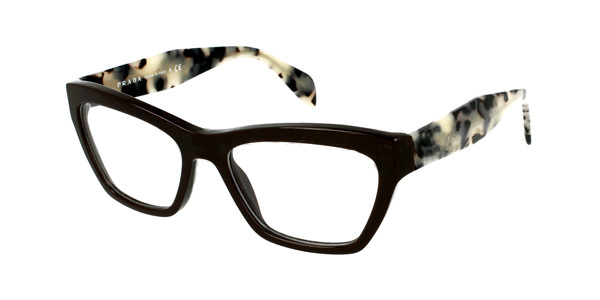 Think of the round acetate frames from your youth. Bigger rounder shapes will be popular this year. If perfectly round is too much for you, try a slighty off round “panto” shape and look out for nice details like keyhole shaped nose bridges to give a vintage feel. Think back to those math lessons at school because geometry will be popular this year. Prada’s latest feature bold angular shapes with dramatic lines. The emphasis here is on the brow line. It’s a harder, more dramatic look but great if you want to make an impact. Continuing from last year, cat's eyes remain a big feature in many collections into 2014. 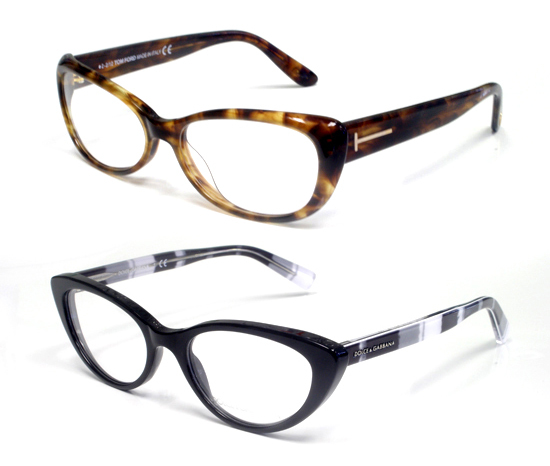 Tom Ford offer some of the best and most vintage inspired designs in a nice range of tortoise shell browns and soft warmer tones. Otherwise try a little floral pattern with D&G or Prada’s more geometric take on the stye. If the full cat's eye look is a little overpowering for you, look twoards Dolce & Gabbana who are offering smaller less dramatic cat's eyes in their latest collection. Lately we’ve seen real explosion in materials and textures in glasses design, from wood to brushed aluminium. But the real focus here is on quality materials. 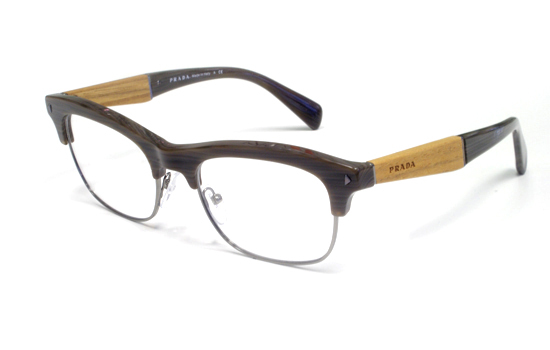 Look out for frames made of better quality cotton acetates like Tom Ford, or Prada with these real wood inserts. You'll see a lot of "wood effect" frames out there too but we say stick to the real thing. Ray-Ban have released many of their classic models in new textures and materials. Our favourite is the brushed aluminium Clubmaster which has a feel of real quality. Look out coloured sunglass lenses this summer. 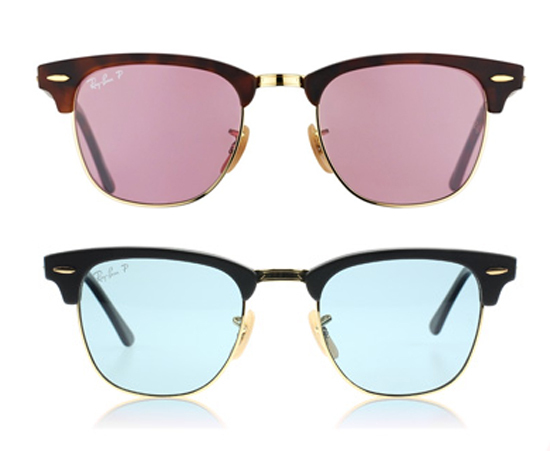 Ray-Ban in particular have released a range in muted pinks, green and blues to add a little colour to your summer days. More any more we’re seeing that the best glasses are the ones that suit your personal look. Don’t be too bound by the rule and choose something that expresses your personality.